After the chop and body work was done. 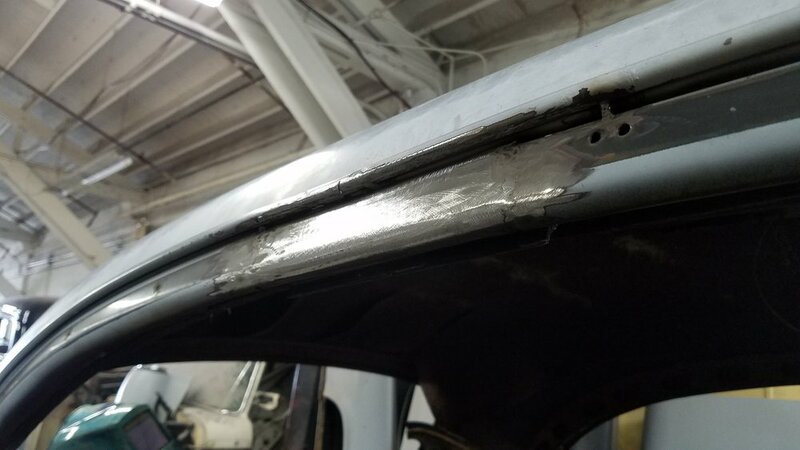 Armando Alba has a 1950 Chevy that we did a window chop on, we shortened the rear window by about and inch and a half and we also removed the "B" pillar to give it a 2 door hard top appearance. Between the two conversions it almost looks the car was stretched. The top the half of the rear window was cut out then in half so that the sides would match up again then a piece was made to join them. At that point it was just a matter of filling in the new gap that was made at the top. 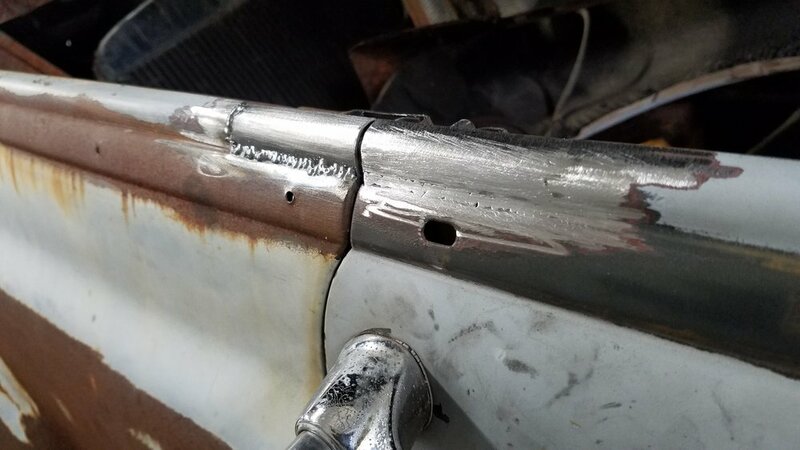 Removing the "B" pillar was a bit more of a challenge since we wanted to as much as possible make it look like it was a factory option for it to come as a hard top, I was able to use some of the pieced i chopped out of the pillar to fill in the blanks the results were great!